This is the LIME Cycle. 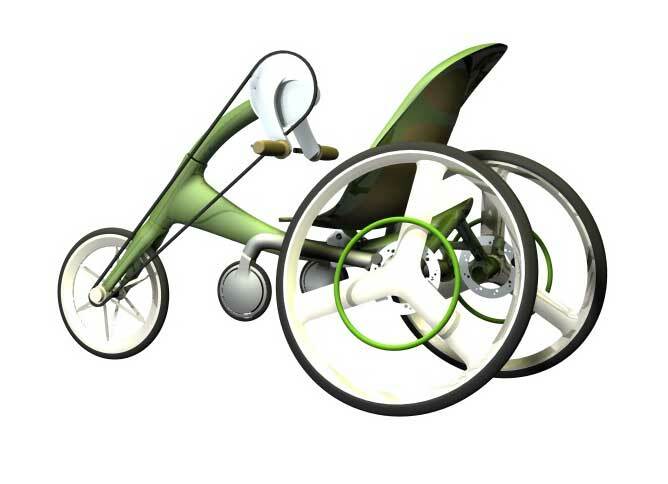 The green transport is meant for commuters with walking disabilities (amputees). 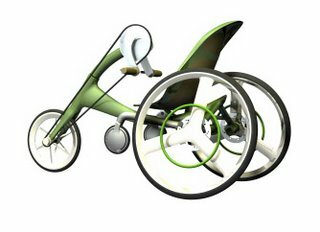 The concept is to have a basic wheelchair used for indoor or short distance movement & with the help of a front attachment, be able to travel as a handcycle to medium distances. 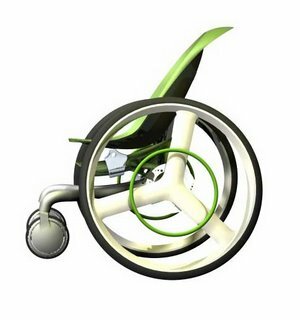 The seat is adjustable (for-aft) to achieve the most comfortable position in wheelchair-mode and handcycle-mode. If you do not use a wheelchair everyday of your life, to get through life; you will never design a wheelchair that will be used for other than magazine filler. People are not in wheelchair, we are on them. It is through feedback from people like you that I need to make the ideas more practical and usable. Please do not hesitate to leave more comments. I understand the sensitive use of words when it comes to describing people with disabilities and I am being as cautious as possible. My apologies if my descriptions agitated anyone. I actually think Mr. Lam is onto something. Encouraging mobility innovation should be constructive. To say that he can't design a chair because he doesn't use one himself is ridiculous! The only thing I see that might be difficult with the design is transferring, but that seems to be improved in a different design! Please keep up the good work Mr. Lam. 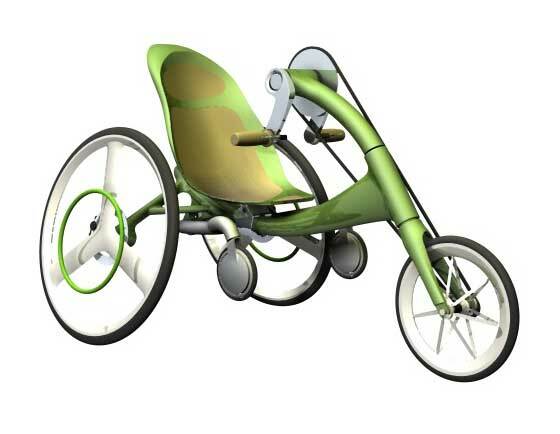 As an industrial designer and current student of Occupational Therapy, I find your work inspiring and delightful. Anybody who is working to improve usability and acceptability of items used by people with disabilities is a role model to others in the design industry. Keep up the great work - I can't wait to see more products along these lines!